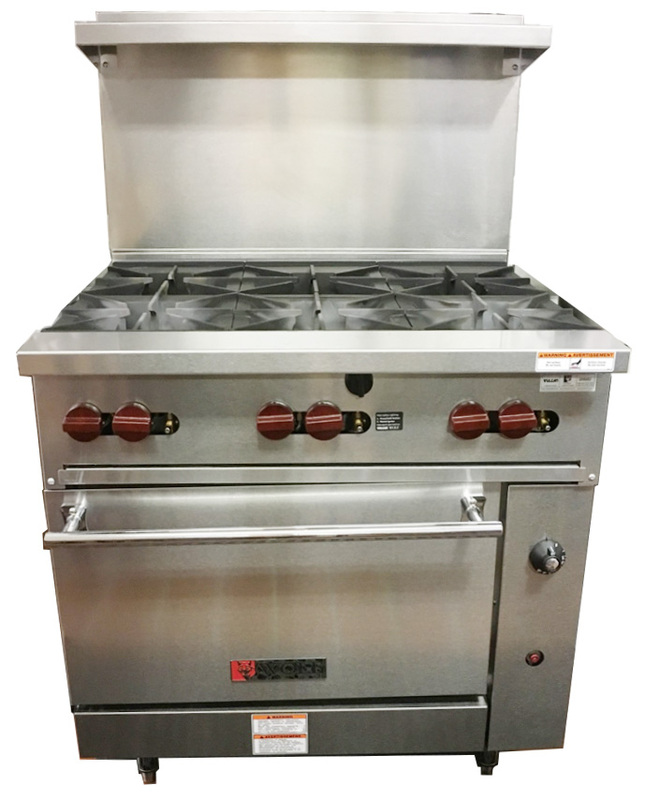 Challenger XL 36" with Piezo Ignition Save Energy! 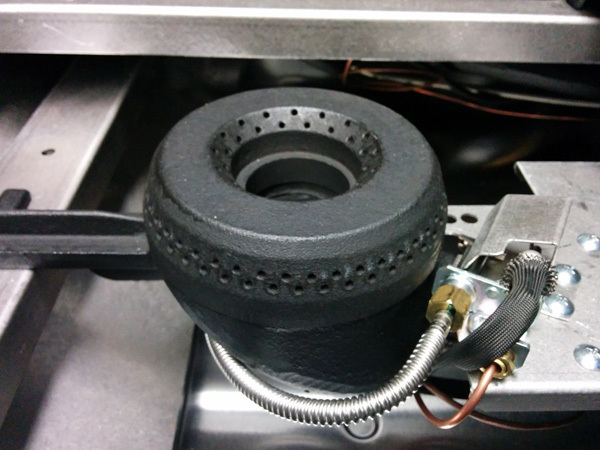 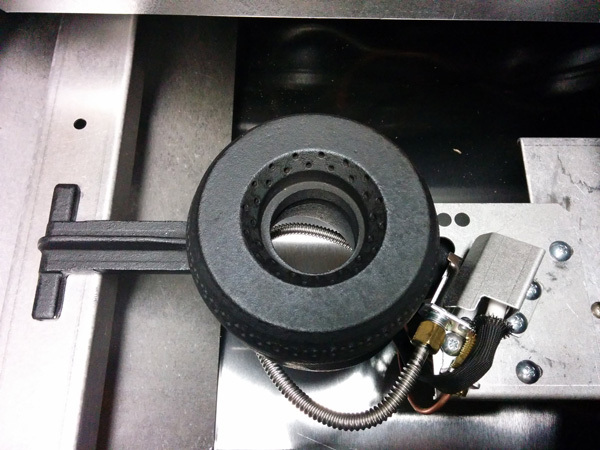 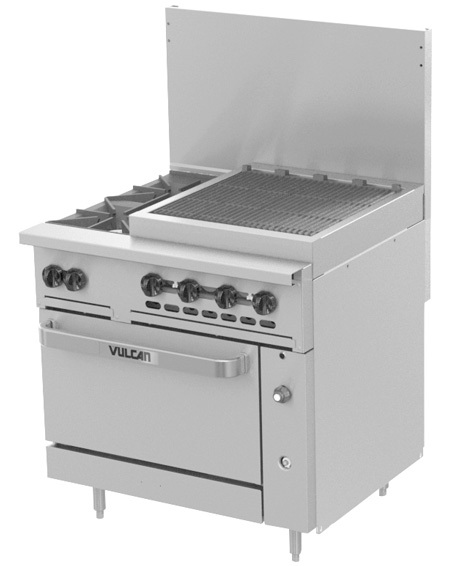 Piezo Ignition Option Now Available for all Top Burners/Models. 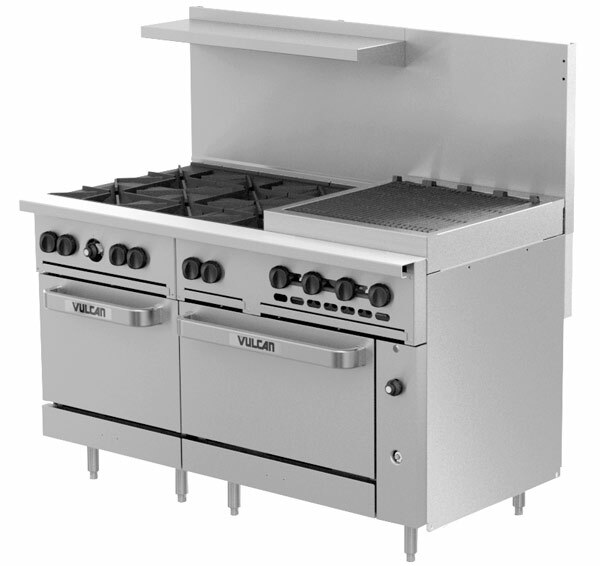 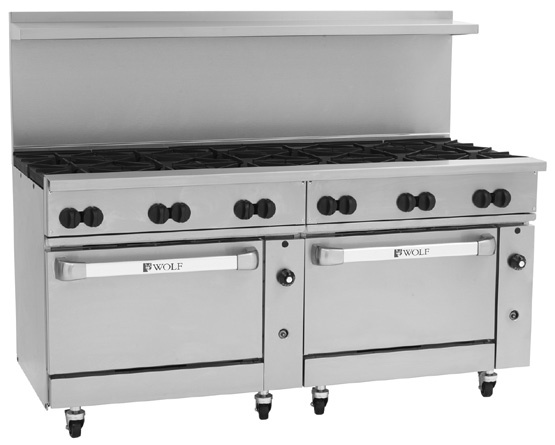 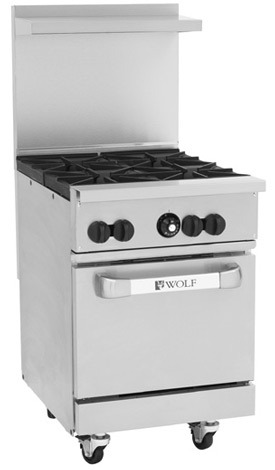 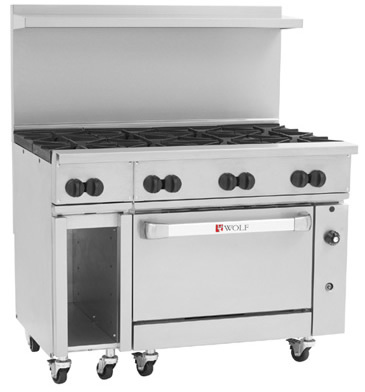 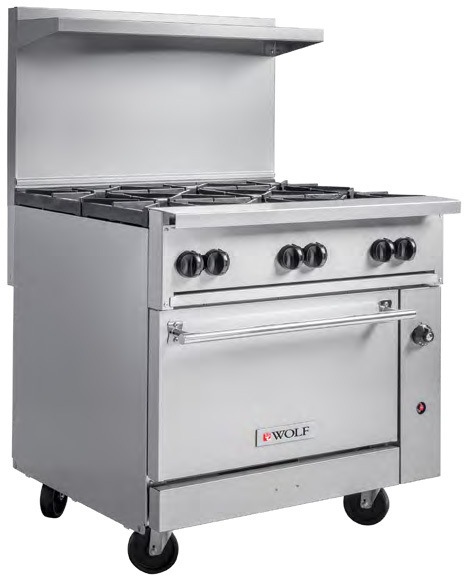 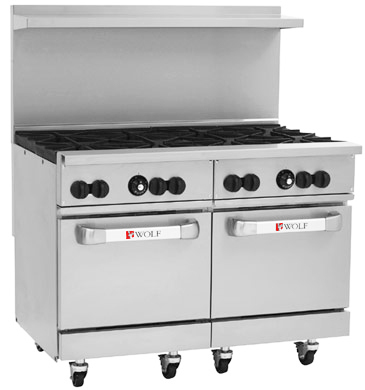 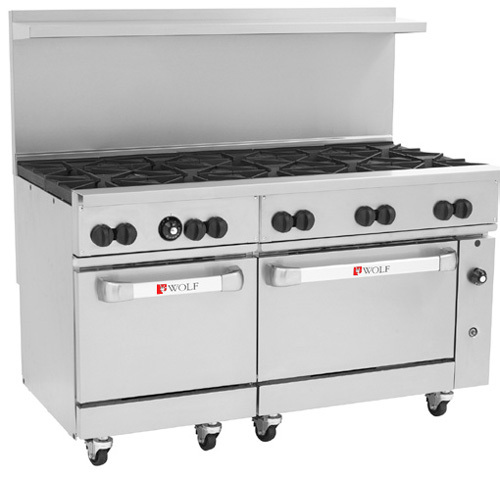 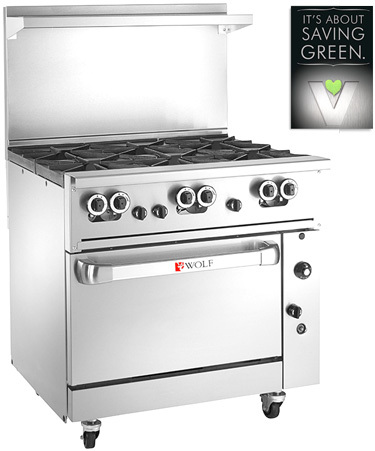 12" Challenger XL model from Wolf Range packs restaurant capabilities into the smallest footprint. 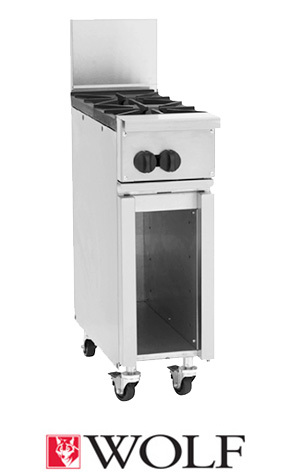 Optional 35,000 BTU/hr Snorkler convection oven in place of std. 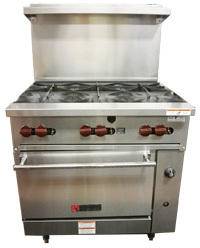 Coupon Available: Save $50 with Coupon "6f572d15"
Piezo Ignition and Full Flame Failure System allow dramatic reduction in overall fuel consumption and other advantages. 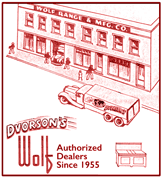 Expires on 4/30/2019. 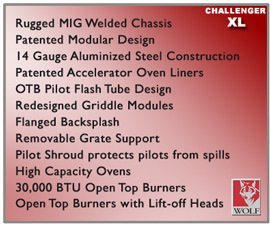 Use during phone 1-877-386-7766 or online checkout. 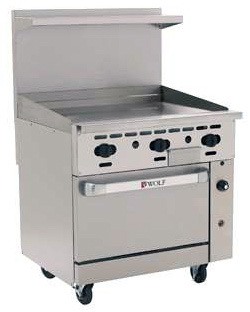 Model is shown above with optional casters. 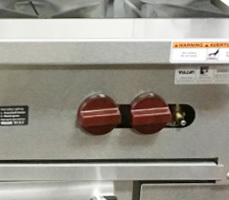 Expires on 4/30/2019. Use during phone 1-877-386-7766 or online checkout on select models only. 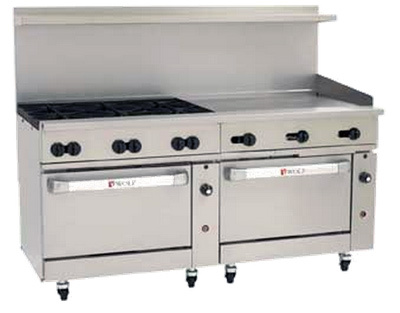 Energy Saving Challenger Ranges click here (pdf) for more details. 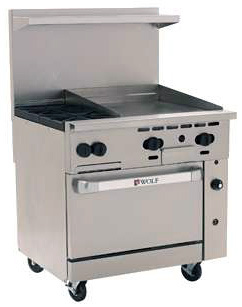 Model is shown above with optional casters.